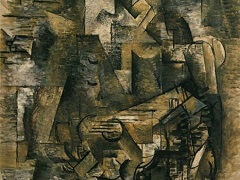 In Violin and Palette, 1909 Georges Braque fragmentalized the objects in the painting into pieces, which are then meshed into the background. Viewers thus see fragments of the objects in the picture that seem broken amidst other pieces of the painting, as if hidden in a jigsaw puzzle. 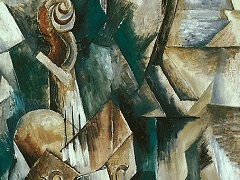 Violin and Palette marked another era in Georges Braque's journey through painting. Paul Cezanne had begun works with geometrized compositions that fascinated Brague and started him working on simplified forms and flattened spatial planes. 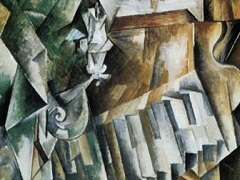 Fueled by his meeting with Picasso in 1907, during which they discovered a common interest in Cubist techniques, Braque abandoned a bright Fauve palette for muted colors. Stare at the various shades of color and we will find fragments of the violin at the bottom left side of the painting against the backdrop of what appears to be music scores, all aligned vertically along the length of the painting. Stare hard at the violin and we will see the fragmented strings and the carved S and inverted S shapes that are typical of violins. Stare harder and the pieces seem to float before our eyes. 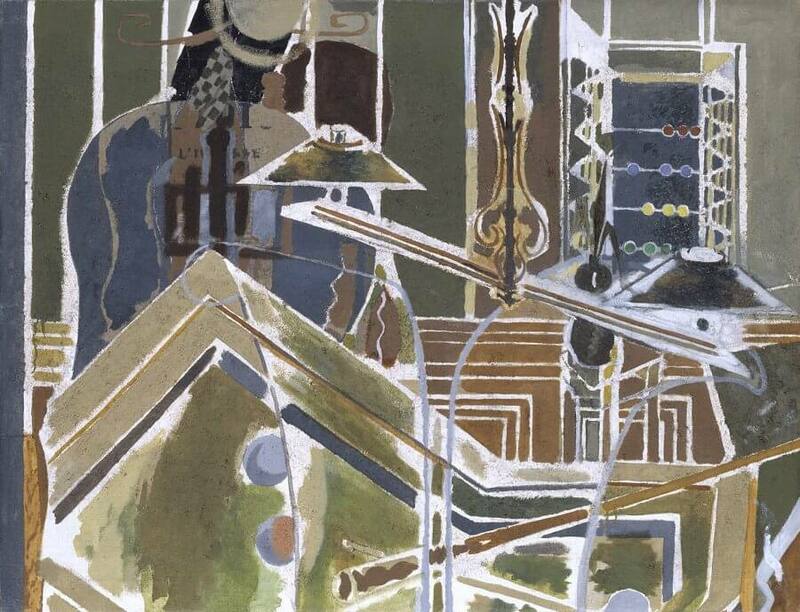 The muted colors allow the play of light and shadows so that as we move from side to side or stare hard at the painting, the various pieces seem to move or merge with other pieces. 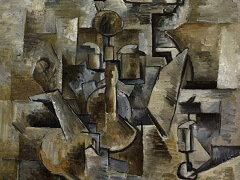 Examine each piece, and we will be amazed at how detailed Braque had been in examining a violin, so that we are able, as a violin maker would, to identify the pieces that go into making a violin. 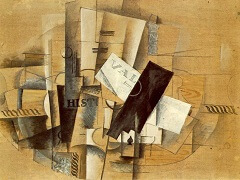 Compare Violin and Palette with Braque's work in 1906, Landscape in Antwerp, just before Braque started experimenting with the techniques that evolved into Violin and Palette. Both show vast contrast in color, form of the object and shadow. 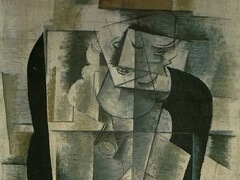 Braque's mastery in painting using different techniques stands out in his works. But we can see a vast contrast in terms of color and clarity. In Landscape in Antwerp, we do not find details as we would in Violin and Palette, only masses of shapes and outlines that used various colors to accentuate the various heights and depths of the landscape. 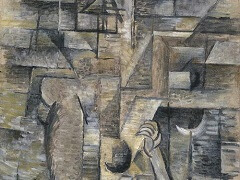 In Violin and Palette, Braque's dissections of the objects show his genius and observant eye as an artist.